Minister of Science and Technology Ophir Akunis (Likud) toured the Gush Etzion Regional Council Tuesday with the head of the council, Shlomo Ne'eman, and declared his support for the application of sovereignty in Gush Etzion in particular, and in Judea and Samaria in general. Akunis said: "We bring all the wonders of science and technology offered by the ministry here to Gush Etzion. We had a working meeting and a tour of the Ulpana and the Tzomet Institute. The minister also referred to the glorious past of Gush Etzion, "This historic place - Gush Etzion - is one of the foundations of our people dating back thousands of years, and anyone who disputes this right is wrong. As we have been forced to leave here in the past, we are here to win, and here thousands of families will raise their children for generations to come. 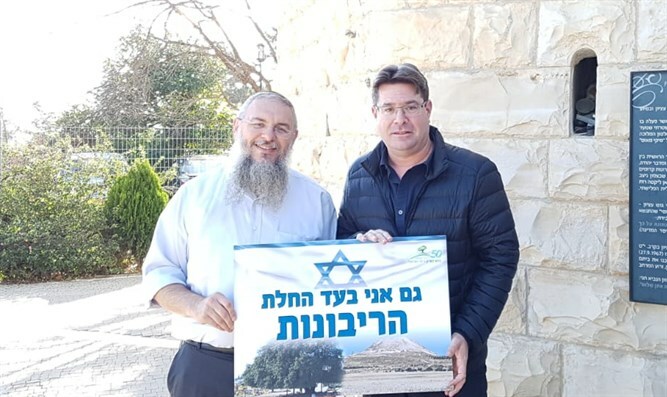 "We welcome the arrival of our dear friend Minister Ofir Akunis, here in Gush Etzion," said Shlomo Ne'eman, head of the Gush Etzion Regional Council, who has just learned from the minister the concept of an ancient people with a huge future. Etzion, one of the oldest places in the country, where the sovereignty of Judea and Samaria comes out of the land of sovereignty, and we thank the minister for his great support both in the field of his professional office and on the national level. "